Entropy is one of the most fascinating ideas in the history of mathematical sciences. Entropy was introduced into thermodynamics in the 19th century. Like the free energies, it describes the state of a thermodynamic system. At the beginning, entropy is merely phenomenological. The physicists found it useful to incorporate the description using entropy in the second law of thermodynamics with clarity and simplicity, instead of describing it as convoluted heat flow (which is what it is originally about) among macroscopic systems (say, the heat flow from the hotter pot of water to the air of the room). It did not carry any statistical meaning at all until 1870s. 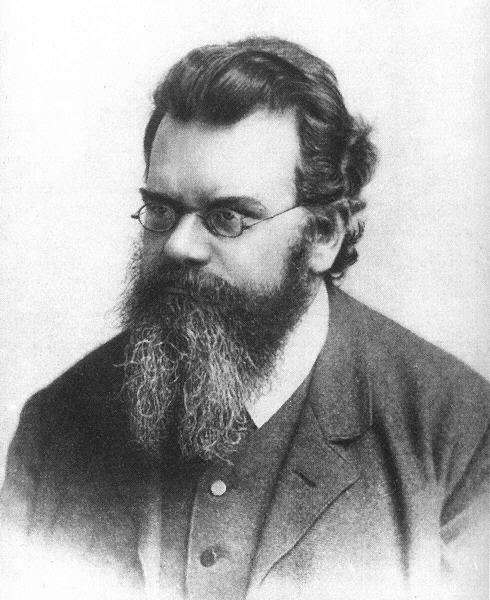 where i is the label for each microstate, and is the Boltzmann’s constant. And in a closed system, the total entropy never decreases. where E is a constant. The softmax distribution can be obtained by this simple optimization problem, using basic variational calculus (Euler-Lagrange equation) and Lagrange’s multipliers. It is the least biased estimate possible on the given information; i.e., it is maximally noncommittal with regard to missing information. which is different from the thermodynamic entropy by the constant and the coefficient . The entropies in information theory and statistical physics are equivalent. The principle of maximum entropy assumes nothing other than the given information to compute the most optimized probability distribution, which makes it a desirable algorithm in machine learning. It can be regarded as a supervised learning algorithm, with the features being , where p is the property calculated, and c is the class. The probability for is proportional to , where is the coefficient to be found during training. There are some technical note to compute all these coefficients, which essentially involves solving a system of algebraic equations numerically using techniques such as generalized iterative scaling (GIS). Does it really assume no additional information? No. The way you construct the features is how you add information. But once the features are defined, the calculation depends on the training data only. The classifier based on maximum entropy has found its application in part-of-speech (POS) tagging, machine translation (ML), speech recognition, and text mining. A good review was written by Berger and Della Pietra’s. [Berger, Della Pietra, Della Pietra 1996] A lot of open-source softwares provide maximum entropy classifiers, such as Python NLTK and Apache OpenNLP. which is essentially the same formula. The more entangled the system is, the larger the entanglement entropy. However, composite quantum systems tend to decrease their entropy over time though. E. T. Jaynes, “Information Theory and Statistical Mechanics”, Phys. Rev. 106, 620 (1957). L. N. Hoang, “Shannon’s Information Theory“, Science4All (2013). A. L. Berger, S. A. Della Pietra, V. J. Della Pietra, “A Maximum Entropy Approach to Natural Language Processing”, Computational Linguistics 22, 39-71 (1996). C. D. Manning, H. Schütze, “Foundations of Statistical Natural Language Processing“, MIT Press (1999). Stanford Natural Language Processing by Coursera. R. K. Pathria, “Statistical Mechanics” (2nd ed. ), Butterworth-Heinemann (1996). M. L. Nielssen, I. Chuang, “Quantum Computation and Quantum Information“, Cambridge (2011).